Local streets were plowed this weekend. Report from Midas on the Stibnite Road 2/4/2019: Warmer weather and rain this [last] weekend caused instability in the snow and small avalanches. With more snow in the forecast, travel safe and be aware of road conditions. The picture was taken around mile 7 of Yellow Pine/Stibnite road and Tamarack Creek. If you receive an email that looks like it is from MTE Communications with the subject “check email update” – Delete the email! It is a “phishing” scam trying to get your ID and password. I talked to Stacy at MTE and the email is not from them. Please do not leave pet food outdoors and remember to keep trash secured, it will draw foxes, coyotes and loose dogs. Reports of Mountain Lion sightings out by McCall. Cleaning chimneys and stoves. 208-271-1600 – Based out of Donnelly, we do cabin staining/chinking as well. Monday (Feb 4) heavy snow during the night, overnight low of 30 degrees, 3″ new heavy wet snow and 16″ total snow on the ground, cloud cover breaking up and patches of blue peeking thru. Red-breasted nuthatches visiting. Overcast at lunch time, high of 36 degrees. Snowing just after 2pm and breezy. Snowed all afternoon, by 6pm over 2 inches of heavy wet snow and still snowing, just a hair below freezing. By 9pm it had quit snowing. Clearing and stars shining by 1030pm. Cloudy/foggy by 530am. Tuesday (Feb 5) overnight low of 20 degrees, 3 1/4″ new heavy wet snow, 18″ total snow on the ground. Overcast and starting to snow lightly at 10am and 25 degrees. Hairy woodpecker, red-breasted nuthatches, northern flicker, jays and a clarks nutcracker visiting. Snowed until a little after lunch time (trace), low clouds, high of 31 degrees. Light snow flurries and breezy mid-afternoon. Cloudy and chilly breezes at dusk. Cloudy night, no new snow. Wednesday (Feb 6) overnight low of 19 degrees, a trace of new snow from yesterday’s flurries, total snow on the ground now 17″ (settled not melted.) Jays and red-breasted nuthatches visiting. Chilly and overcast mid-day, light breezes, high of 24 degrees. Dark blue helicopter coming in low at 1232pm. Pine squirrel, northern flicker and hairy woodpecker visited. Occasional flakes of snow mid-afternoon, chilly light breeze. Overcast at dusk, temps dropping into the teens. Partly clear by 10pm, some stars out. Cold night. Thursday (Feb 7) overnight low of -4 degrees, clear sky this morning, measured 17″ of snow on the ground. Jays and hairy woodpecker visiting. Clear and cold mid-day, no drips, high of 27 degrees. Clarks nutcracker, northern flicker and a pine squirrel visited after lunch time. Mid-afternoon a few drips from icicles in the sun, but still below freezing, clear sky and cold light breezes. At dusk it was 10 degrees and clear. Clear cold night. Friday (Feb 8) overnight low around zero degrees, overcast this morning, chilly light breeze, 17″ old frozen snow on the ground. Hairy woodpecker and red-breasted nuthatches visiting. Cloudy and light chilly breezes mid-day, high of 28 degrees. Jays were late to show up. Mid-afternoon cloudy and cold light breezes. At dusk, some stronger gusty breezes, trees dumping snow, and the flags at the monument were flapping. No snow yet as of midnight and breezy. Trace of snow fell before morning. Saturday (Feb 9) trace of new snow this morning, estimate 17″ of old snow on the ground, 21 degrees, overcast and slight breeze at 10am. Raven calling and flying over the village. Jays active and noisy. Icicles dripping mid-day, high of 33 degrees. By mid-afternoon it was just starting to snow very lightly, just below freezing, overcast and light breezes. Barely a trace from the afternoon snow, and another short flurry around 10pm. Snowed an inch between 6am and 7am. Sunday (Feb 10) overnight low of 19 degrees, 1″ new snow and 18″ total snow, gusty winds and overcast. Jays and hairy woodpecker visited. Short snow flurry before lunch, then clouds breaking to the south and gusty winds blowing snow out of the trees at noon, a few drips from icicles, high of 30 degrees. Three female hairy woodpeckers visiting together after lunch time. Partly clear and windy mid-afternoon. Windy, cloudy and light snow flurries on and off late afternoon to early evening (trace). Very light snow and calmer at dusk. The federal study that is key to the Midas Gold mine near Yellow Pine moving forward will not be issued until August at the earliest, the Payette National Forest announced last week. The study had been expected to be issued in May but the delay was due to a request by Midas Gold for more time to submit studies on water quality of the aquifers and streams at the mine site before, during and after the project, Payette Public Affairs Officer Brian Harris said. The release of the draft study likely will be pushed back even further due to the 35-day federal shutdown, the Payette news release said. The extent of that additional delay will be known by April 1. “While the extended timeframe is disappointing, we believe that this additional time safeguards the successful completion of the permitting process and ensures the best plan moves forward,” said Stephen Quin, president and CEO of Midas Gold Corp., a Canadian company with headquarters in Vancouver, B.C. The delay in the release of the draft study means the soonest the Payette could issue the go-ahead for the project would be July 1, 2020, according to a Midas Gold release. The water quality studies were among 115 requests for additional information from regulators to Midas Gold since the review of the project started in 2017, the Midas Gold release said. Seven federal, state and local agencies are reviewing the plan of operation and restoration submitted by Midas Gold in December 2016. Federal law does not allow the Payette to stop Midas Gold from mining, but the National Environmental Policy Act of 1969 requires federal agencies to consider the effects of projects like the mine on people and the environment. The draft study will include a range of alternatives that include requirements by the regulators on Midas Gold. The public will get to comment on the various alternatives, and those comments will be taken into account in the drafting of a final study, after which a decision will be issued on which alternative to impose. Midas Gold predicts it will employ 400 people during a two-to-three-year construction period, increasing to 500 employees over the 12-year life of the mine. The company’s probable mineral reserves include more than 4.5 million ounces of gold, or 154 tons, and 100 million pounds of antimony, which is used as a flame retardant. A severe snow storm on Sunday [Feb 3] caused wrecks on Idaho 55, power outages in McCall and the first use of a delayed-start system by the McCall-Donnelly School District. The Valley County Sheriff’s Office responded to four crashes, three of which included two cars, plus 10 slide-offs and two cars that became stuck in the road, sheriff’s Capt. Jason Speer said. One incident saw a tree land on a car on Idaho 55 between Smiths Ferry and Banks, Speer said. Idaho State Police took the report on the incident, but details were not available as of Wednesday. Idaho Power Co. crews responded to a variety of power outages on Sunday in and around McCall, Cascade and Donnelly, Communications Specialist Maria Willacy said. About 6,700 customers were without power at the peak of the outages on Sunday, Willacy said. Most of the outages were caused by snow-laden trees being weighed down and making contact with or falling on power lines, Willacy said. About 800 customers remained without power as of 1:30 p.m. Monday, and that number had been reduced to about 117 customers as of 10:45 a.m. Tuesday, she said. Valley County has been awarded $2,920 to supplement emergency food and shelter programs in the county. The funds were made available through the department of Homeland Security/Federal Emergency Management Agency under the Emergency Food and Shelter National Board Program. Recipients also must practice nondiscrimination, have demonstrated the capability to deliver emergency food or shelter programs, and have a voluntary board if they are a private voluntary organization. Recipients of previous grants have included the Western Idaho Community Action Partnership, Rose Advocates and Donnelly Food Bank. Qualifying agencies may apply by contacting Local Board Chair Marilyn Arp at 208-634-5833 or marilynarp@gmail.com. The deadline for applications is Feb. 14. Carefully examining the screen projecting an ultrasound reading, sonographer Heather Gibson checks the arteries in a patient’s leg for potentially life threatening blockages. It’s a procedure that the Cascade Medical Center could not have performed before the addition of a new ultrasound machine in November. Gibson is a specialist brought in to run the new machine that expands medical services at the hospital. The ultrasound can help detect blood around the heart and in the abdomen of trauma patients, as well as detect blood clots and examine internal organs and arteries, CEO Tom Reinhardt said. Gibson provides scheduled outpatient ultrasound exams every Tuesday. The Idaho Department of Lands says it will review and change some of its processes for leasing land in the state, following criticism over a lease that was approved on Payette Lake last year. Those neighbors, who live less than 1/4 mile from the proposed development in the Tamarack Bay Condominiums, were concerned about the impacts this lease would have on the environment, traffic, safety, and public access in the area, among other things. Those same neighbors and others in the community also expressed frustration with the lack of public notification given about the proposed development. Currently, the department of lands is not required to notify adjacent neighbors or the city when these types of leases are received. Instead, all new lease applications are listed on the Idaho Department of Land’s website, where the lease is advertised for 30 days. During that time, if conflicting offers are made for the use of that land, the process can ultimately lead to a public auction, but IDL says that didn’t happen in this case. 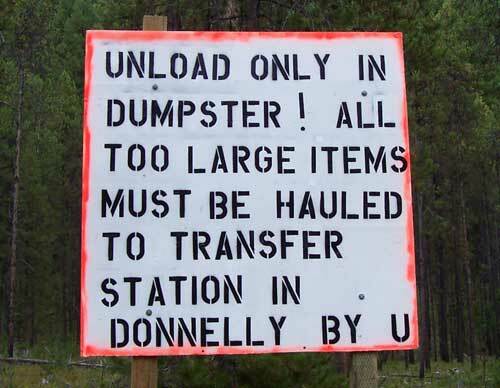 Boise County, Idaho — We have all been led astray using GPS. If you’re using it to reach a backcountry destination, going down the wrong road could result in an unexpected survival story. Kaczmarek took us down Grimes Creek Road along with his dog, Lucille. We stopped the truck before the road got difficult. Boise — The Natural Resources Conservation Service in Idaho has released the February Water Supply Outlook Report for the 2019 water year. January’s weather varied across the state and that was reflected in changes in Idaho’s snowpack. Warm temperatures in mid-January brought rain in the valleys and mid-elevations and snow to the higher elevations, according to the NRCS. In regard to precipitation overall, the highest accumulation relative to normal was in the Little Wood Basin, which received 109% of its average January precipitation, officials said. Conversely, the Clearwood Basin received only 57% of its average precipitation for the first month of the year. Boise, Idaho – The Bureau of Land Management (BLM) permanently transferred management authority for Mallard Park to the City of Caldwell on Feb. 4. The approximately 30-acre tract of BLM land has been under a renewable lease for the purpose of constructing the park since 2007. The transfer took place during a meeting of the Caldwell City Council. Located 5 miles south of Caldwell on 10th Avenue, the popular park offers walking paths, picnic shelters, an accessible playground, restrooms, views of Lake Lowell, an 18-hole disk golf course and a nearly-completed amphitheater. “This project is a great example of the BLM being good neighbors and working with city partners by taking a small, isolated tract of land that was difficult for us to manage and turning it into a recreational asset for the community,” said BLM Four Rivers Field Manager Brent Ralston. The City of Caldwell had been leasing the BLM land under a Recreation and Public Purposes lease, which requires renewal every three to five years. In transferring management of the land to the city, Caldwell will hold it in perpetuity for a nominal cost, as long as the land use remains within the original agreed-upon purpose of development of a municipal park. For more information, contact Michael Williamson at (208) 384-3393. You don’t have to be in your home to get carbon monoxide poisoning. Boise, Idaho — Carbon monoxide can be life threatening – not only in your home, but in the backcountry as well. The gas is colorless and odorless so there’s no way to know it’s there unless you have a carbon monoxide detector. Deputy Chief Romeo Gervais with the Boise Fire Department showed us how a simple camp stove could have deadly consequences if it’s not used properly. At 8:15 p.m. on Friday, Brett Bruggeman and his team of Alaskan huskies appeared out of the pitch dark at the finish line at Bear Creek Lodge near McCall to the cheers of about 70 spectators. Bruggeman, of Great Falls, Mont., crossed the finish line 2 days, 9 hours, 15 minutes and 311 miles after he started to win the 2019 Idaho Sled Dog Challenge. “This is the most people I’ve ever seen at the finish line of one of these races – more than there were at the Iditarod finish line in Nome (Alaska) last year,” Bruggeman’s wife Suzette said at the finish line, where she was waiting with their son Spencer. Spencer placed third in the 150-mile distance earlier that afternoon. Star, Idaho (CBS 2) — Two Star Police officers are doggy heroes after a pair of four-legged rescues. The Ada County Sheriff’s Office says officers Sean Dalrymple and Alan Speakes recently helped rescue a pooch that ended up in a storm drain near Star Elementary. The two went headfirst down a manhole and spotted the dog’s glowing eyes. With the help of some dog biscuits, they were able to lure the pooch to safety. 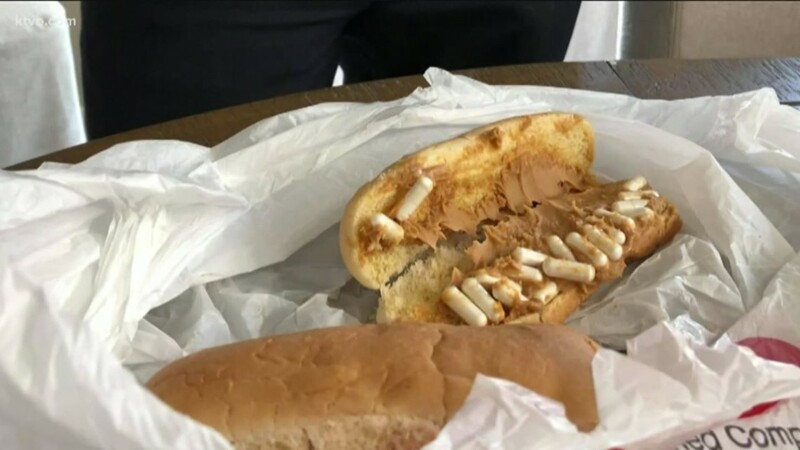 Eagle, Idaho — Eagle Police are trying to find out who and why someone tried to a poison a woman’s dog earlier this week. Thankfully, her dog didn’t seem interested in the poisonous treat. Boise, Idaho — Registering your animal is a simple and depending on where you live, inexpensive process. Many Idahoans are unaware that failing to register your dog in the city you reside is illegal and can result in a citation, monetary fines or court fees. Mackay, Idaho — Idaho wildlife officials say a woman who thought she was breaking up a dog fight quickly realized she’d grabbed hold of a young mountain lion. The Idaho Department of Fish and Game wrote in a prepared statement Monday that the woman thought her dog was fighting with another dog outside their home in Mackay on Jan. 30 when she started pulling the animals apart. Boise, Idaho (CBS 2) — In Idaho, this time of year, mountain lion sightings typically peak. Idaho Fish and Game told CBS 2 News that during the winter mountain lions come down from the snowy remote areas in the mountains, following after deer and elk, and travel to where it’s warmer — sometimes among people. The good news is mountain lion attacks on humans are extremely rare. However, Idaho Fish and Game said our pets can make for easy prey. Just in the past month, two dogs have been killed in mountain lion attacks. Fort Collins, Colo. (AP) – A man is recovering after he fought off and killed a mountain lion that attacked him during a trail run in northern Colorado. Rebecca Ferrell, a spokeswoman for Colorado Parks and Wildlife, tells The Coloradoan the man was running alone at Horsetooth Mountain Open Space near Fort Collins when he was attacked from behind Monday afternoon. The runner, whose name has not been released, fought off the cougar, hiked out of the area and drove himself to a hospital. Boise, Idaho (AP) — An Idaho board that pays a federal agency to kill wolves that attack livestock and elk is a step closer to becoming permanent following a Senate panel’s split vote on Monday. The seven Republicans on the committee voted in favor of the legislation, and two Democrats voted against it. Moose, Wyo. (KIFI/KIDK) – Grand Teton National Park rangers recently conducted an investigation into an illegal taking of a gray wolf within the park boundary that resulted in a conviction. Two individuals from Wyoming, a male 56 years of age and a female 55 years of age, were charged with illegal take of wildlife within the park, and both recently appeared in Federal court. The man pleaded guilty and received a $5,040 financial penalty, one year of unsupervised probation and a one-year loss of wolf hunting privileges. Rexburg, Idaho (KIFI/KIDK) – Idaho Department of Fish and Game officials report a herd of about 100 elk wandered into a rural area between Sugar City and Rexburg Monday. Officials say the elk have been sighted from both Highway 20 and Highway 33 and are a cause for concern to passing motorists. Madison County Sheriff’s office and Idaho Fish and Game are aware of the situation and are monitoring the herd closely. Idaho Fish and Game’s proposed changes for the 2019 & 2020 big game hunting seasons are now available online for public review and comment. The deadline for submitting comments goes through midnight February 24. 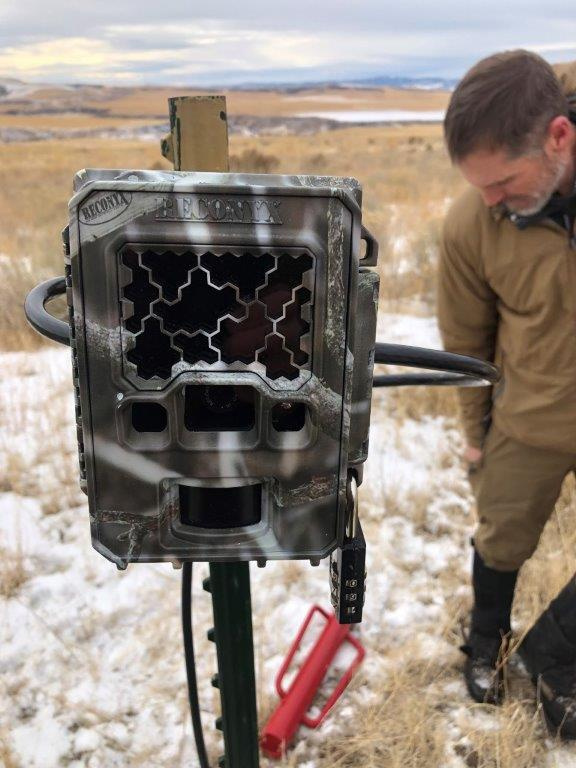 During November, biologists deployed a network of trail cameras on winter range of mule deer in Eastern Idaho, as well as elk range in the St. Joe River and the South Fork of the Clearwater River. In each location, cameras were deployed at randomly selected GPS points across the animals’ winter range. Jan. 10 (UPI) — An Idaho hunter captured video of a befuddled mountain lion stalking a decoy deer until discovering that its intended prey is a fake. The video shows the hunter, perched above ground, filming the mountain lion as it stalks the decoy deer he was attempting to use to draw some real deer out into the open. The cougar quietly sneaks up on the faux deer and prepares to pounce, but stops short when it realizes the deer is not all that it seems to be. The befuddled mountain lion then sniffs at the plastic deer in confusion, but ultimately decides it doesn’t appear too tasty. This entry was posted in News 2019 on February 10, 2019 by The Yellow Pine Times.